Washington Street gallery presents “The Beer Show,” an art show all about beer! This show has everything: sculpture, painting, multimedia, photography, music, magic, and more! The opening reception is July 7 from 6-9pm, and the show is on view through July 28. Gallery hours are Saturdays from 12 to 4 pm. What do you think about when you think about beer? Parties in college? Family barbecues on the 4th of July? Your favorite bar? The Budweiser frogs? The beach? The subject of beer conjures many things: nostalgia, celebration, tradition, regionality, hospitality, agriculture, drunk uncles… the culture of beer is far-reaching to say the least. This show explores what beer is and does in our culture. Pop a top, relax, and join us for this fun and dynamic show. In addition to the art, there will be beer-themed music and magic provided by local band Die Nacktschnecken and magician Tyler Twombly. Cheers! 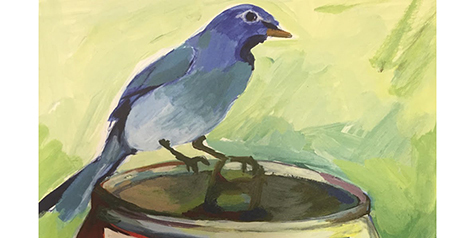 The show features our studio members as well as outside participants including Jill Comer, Maggie Cedarstrom, Jamu White, Lee Kilpatrick, Mary Lewey and more.